The holidays are coming, and we’ve been busy preparing a place for you to meet the needs of your furry friends’ holiday wishes! Do you have a furbaby? A grandpup? A godpup? Visit our Pawp-Up Shop! 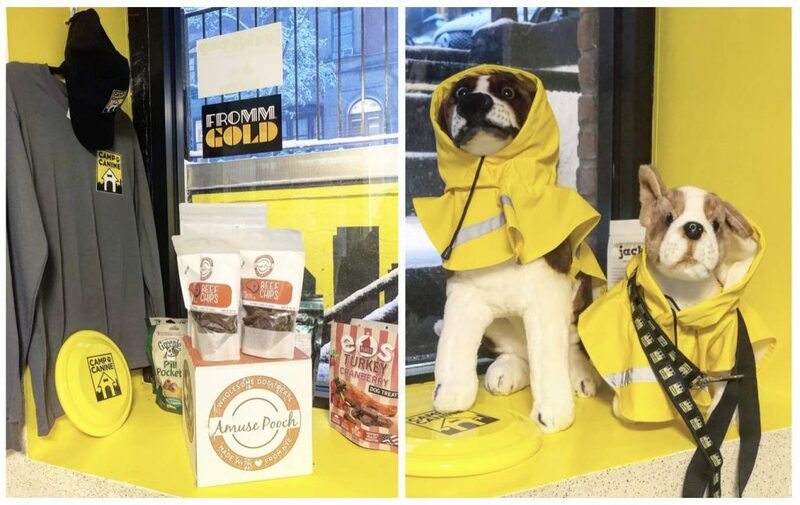 With our new retail space, we’ve had the opportunity to support local small businesses and entrepreneurs, as well as offer items from brands like Fromm Foods, Jack & Pup, Tropiclean and Old Mother Hubbard. And bonus: if you refer to this blogpost at any time during the month of December 2018, you can receive $10 off of a $100 purchase or more! So what will you find in our Pawp-Up Shop? Get the Camp Canine swag you’ve been dreaming of. That’s right – we have Camp Canine branded t-shirts, long-sleeved shirts, rain jackets, umbrellas, frisbees, baseball caps, towels, blankets, dog rain coats, leashes and more! Pick up your Camp Canine branded gear today to rep your favorite doggy daycare! 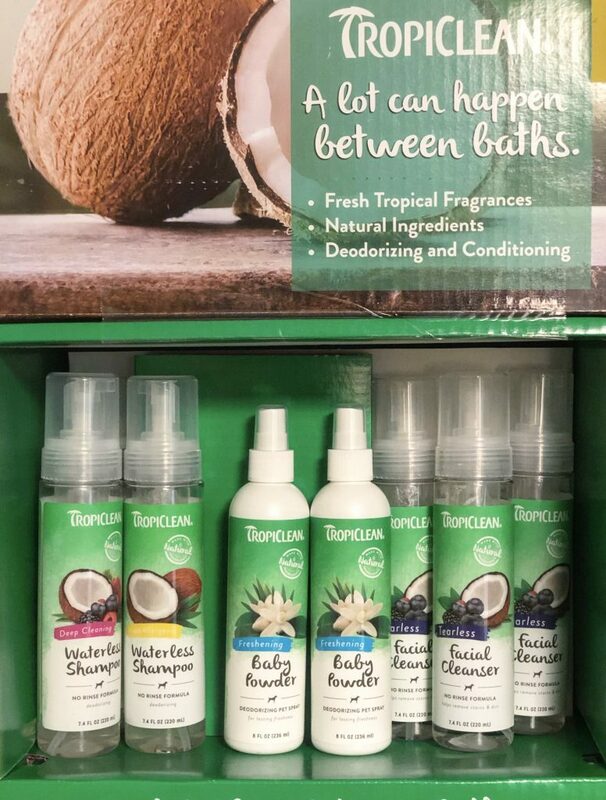 We have Tropiclean’s line of doggy-care products, including waterless shampoo, baby powder, facial cleanser and deodorizing pet wipes. 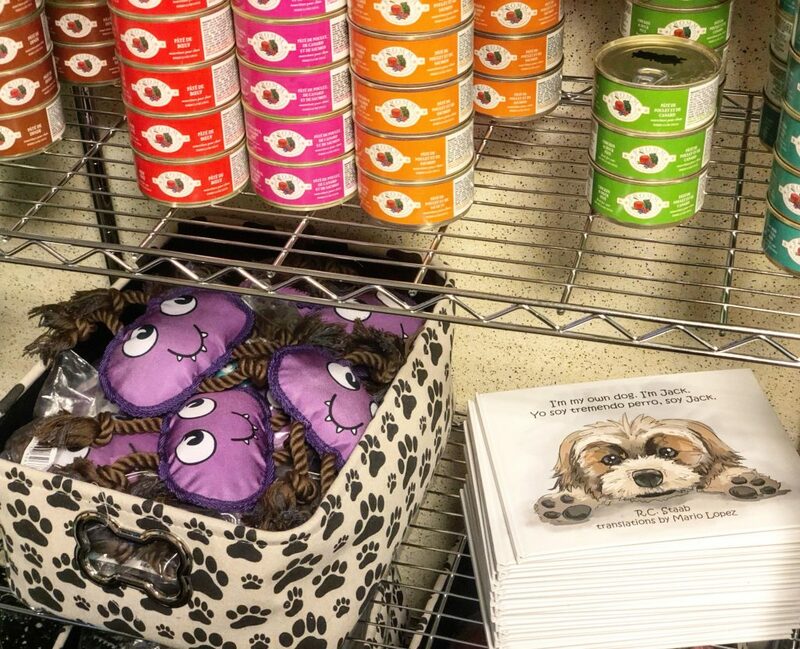 Tropiclean strives to create healthy pet products from naturally-sourced, eco-friendly ingredients. 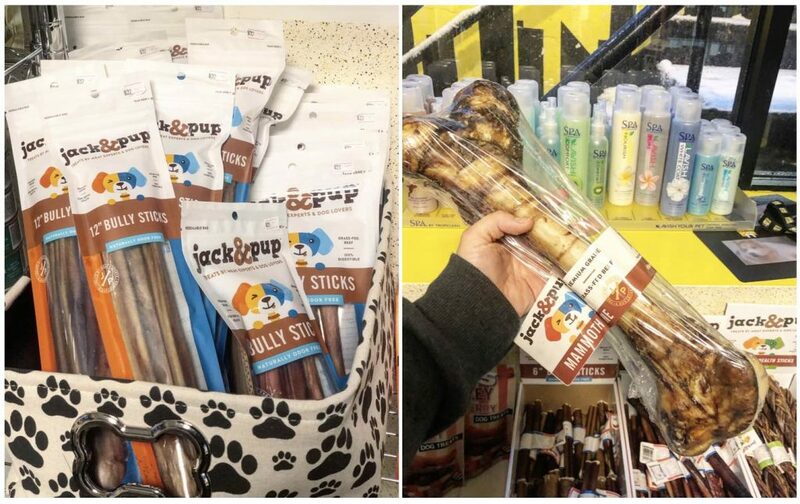 The antlers, bullsticks and (our favorite) the “Mammoth Bones” are Jack & Pup branded. 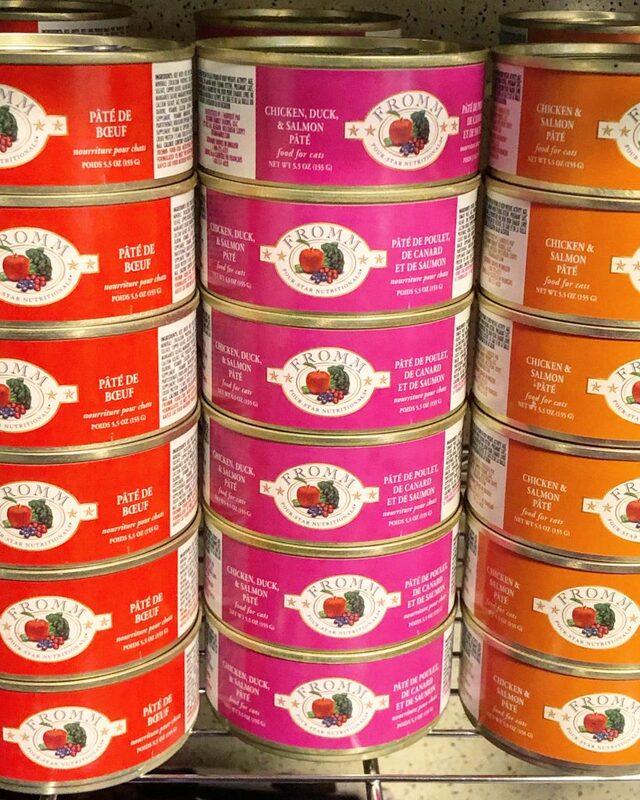 This brand ensures quality control from carefully monitored meat sources; they promise a personal assurance that every treat they make meets their high standards. We know that our campers love them! 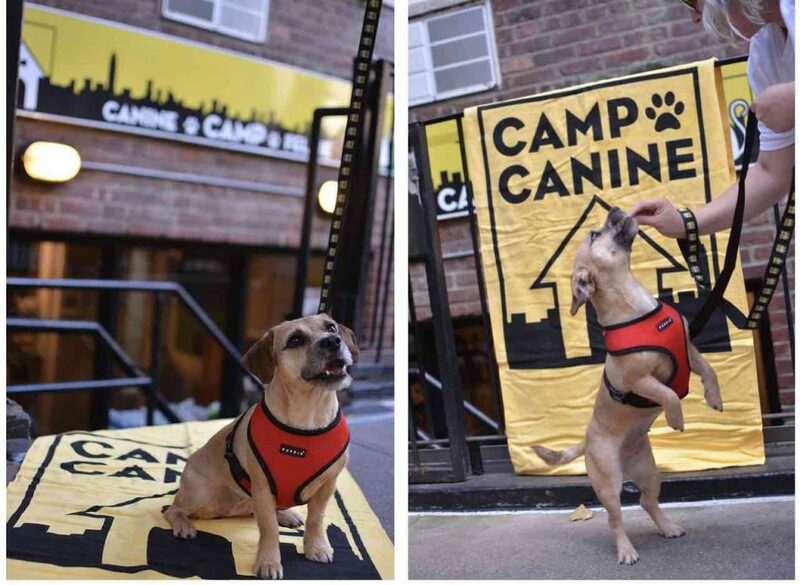 Our Campers love their Amuse Pooch Treats! We’ve featured Amuse Pooch before on the blog when we talked about the dog-centered small businesses we love to work with. Amuse Pooch offers wholesome, artisan dog chips, made in beef or chicken. You can even personalize the bag according to the holiday (or birthday) you’re looking to celebrate! 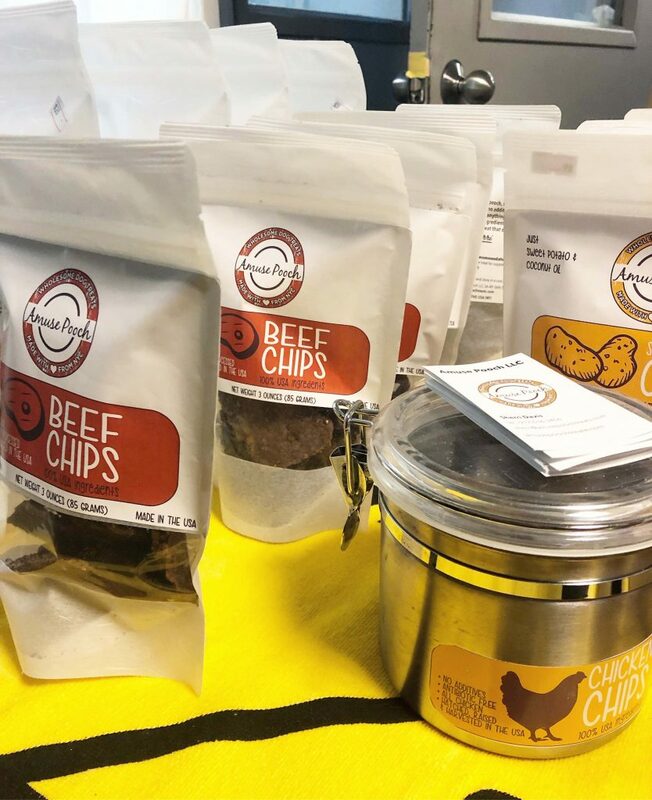 We offer a variety of both the beef and chicken chips (in multiple sizes and multiple customizations) in our Pawp-Up Shop. 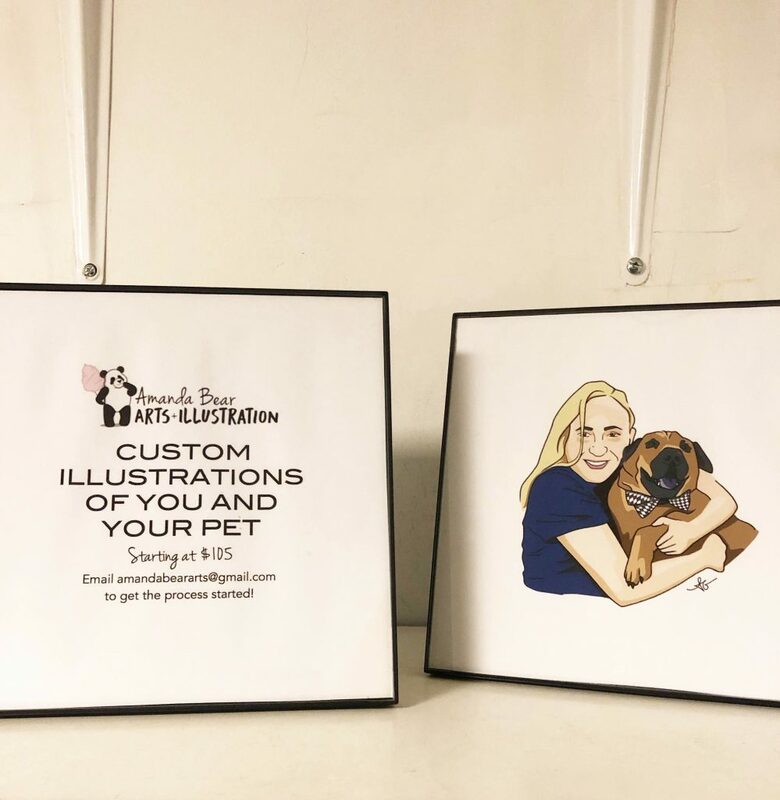 Amanda Bear Arts (previously featured on our blog as the artist who painted the various murals throughout our facility) has her Pet + Parent Illustrations displayed in our Pawp-Up Shop. Contact her through amandabeararts@gmail.com to commission your portrait. 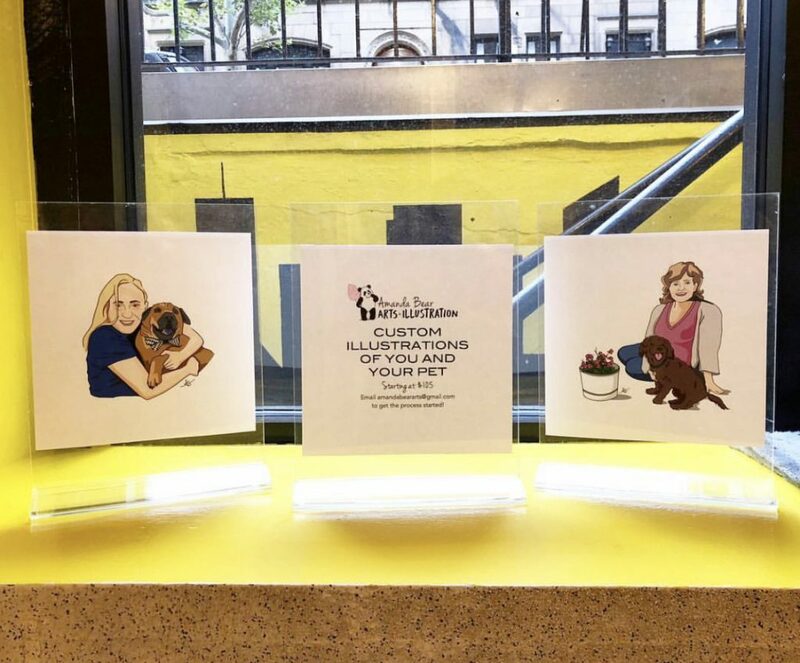 Whether you’d like to have an illustration of yourself and your furbaby to hang up in your home, or you’d like her to illustrate a friend or family member for a gift, she’s open for holiday commissions! R.C. Staab, a pawrent of ALR alum, Jack, who stayed at Camp Canine as our foster, has released a book titled “I’m my own dog. I’m Jack. Yo soy tremendo perro, soy Jack.” This lovely picture book, written in both English and Spanish, follows Jack’s journey as a street dog in Puerto Rico before he was picked up by the teams at El Faro de los Animales and Animal Lighthouse Rescue. The story has a happy ending, as Jack eventually finds his furever home. Pick up this feel-good story as a Christmas gift for a child in your life, and all proceeds will go to Animal Lighthouse Rescue! A friend of Camp Canine’s, Mr. Monster Pup, released his own line of monster toys! (He’s a self-proclaimed “entrePUPneur,” after all.) 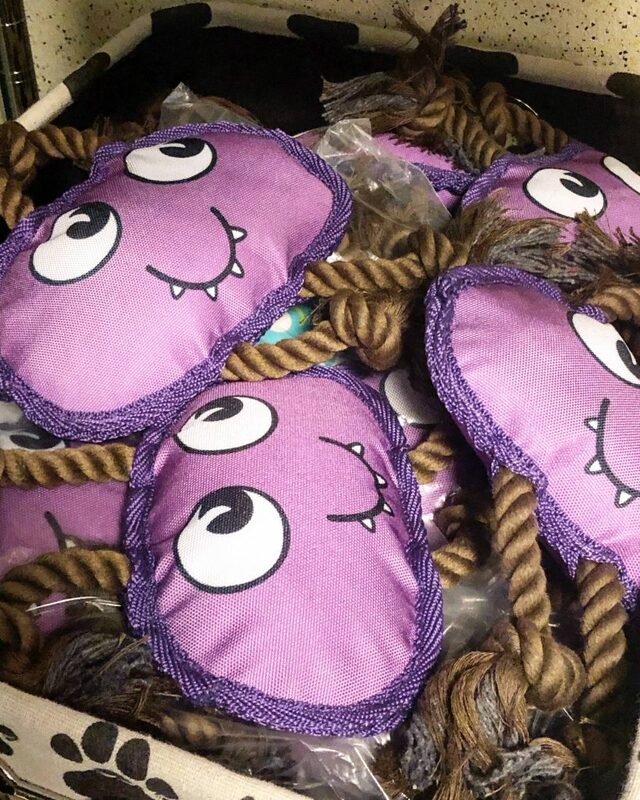 And lucky for you, we’re selling some of his adorable monster rope toys in our Pawp Up Shop. All proceeds will go to Animal Lighthouse Rescue. 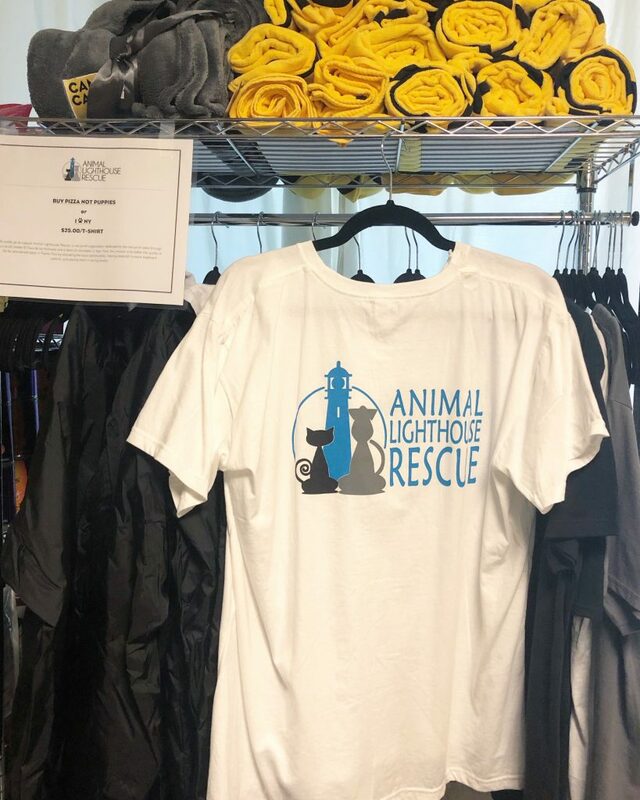 And speaking of Animal Lighthouse Rescue: get your swag! ALR-branded t-shirts (as well as their famous “Buy Pizza Not Puppies” t-shirts) are available for purchase in our Pawp-Up Shop. Just as with Jack’s illustrated story, the proceeds of all ALR swag go directly to the rescue.